Interlocking bunnies designed for 12m+. 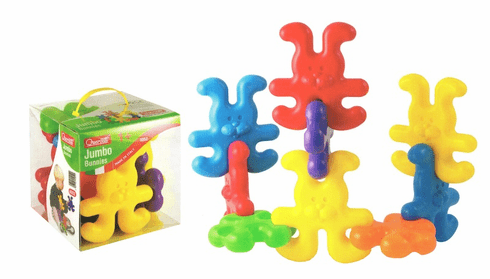 ^ bunnies and 3 connectors can combine to form row, collumn and other structures. Come in 6 bright colors, with large pieces for easy grasp.